I have traveled to 91 countries in every area of the globe, and I can tell you this: there is nothing like North Korea. For any number of reasons, it is the most unique, surreal and magical country on planet Earth. Nothing else even comes close. From everything I had read before I went there, this is what I expected it to be, and I wasn’t disappointed. But I had no idea how deeply it would affect my emotions. 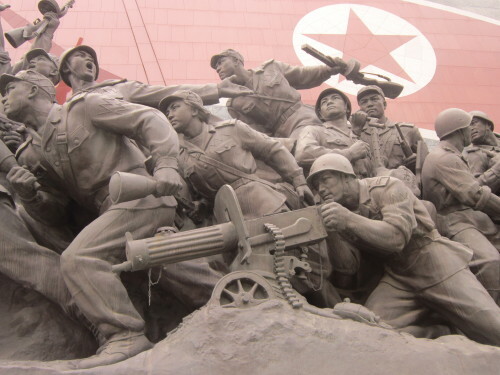 In the one unpleasant sense, North Korea is the world’s last hardline communist tyranny still going strong. It is, in fact, a living Orwellian nightmare that jars the senses – as fascinating as it is revolting. At any time, loudspeakers can and do blare political propaganda or martial music; murals exhort the people to work harder, sculptures to defend the fatherland; one in fifty are reputed to be informers, spying on their fellow citizens; there is still no cell phone service or internet connection to the outside world; and everywhere, absolutely everywhere, Big Brother, incarnated in the beaming faces of Kim Jong-Il and Kim Il-Sung, father and grandfather of current dictator Kim Jong-Un, is watching you. North Korea is history’s only hereditary communist dynasty, and the only personality cult of political leaders who have been elevated to divine status – literally. Back in the late 1970s I traveled widely around the then communist countries of eastern Europe, and while the heavy hand of government was evident in many places ( I was even nabbed by a plainclothes member of the secret police in Romania for taking an illegal photo), nothing I witnessed compares to the bizarre atmosphere of North Korea. It is really something to experience. But that’s only one part of it. There is another part I was totally unprepared for, and that was how much the people would touch my heart. Being acquainted with some Korean business owners near where I live, and having visited South Korea many years earlier, the Koreans have always struck me as a hardworking, law-abiding and likable people, proud of who they are but in no way pushy about it. I had no problems at all traveling on my own around South Korea and I enjoyed it, but I can’t honestly say the country swept me off my feet. In North Korea the people were different, and I came to realize that it had to do with how much they have suffered. This is a country where close to thirty percent of the population has perished in the last two generations – first as a consequence of the Korean War, and later in the widespread famine of the 1990s, caused by a combination of disastrous floods and agricultural mismanagement. The parents or grandparents of nearly every North Korean alive today either died or lost everything they had as a result of these tragedies, and today the people endure at best a barely tolerable standard of living, more often dismal poverty, not to mention a rigid conformity enforced by fear that crushes the human spirit. This is a land of sorrow, and you can see it in many faces, particularly the older ones. You can see it in the worn-out expressions in this photo I took of a group of people waiting their turn to walk up to the huge statues of Kim Il-Sung and Kim Jong-Il in Pyongyang’s central square, before which everyone, including foreign tourists, must bow in reverence. 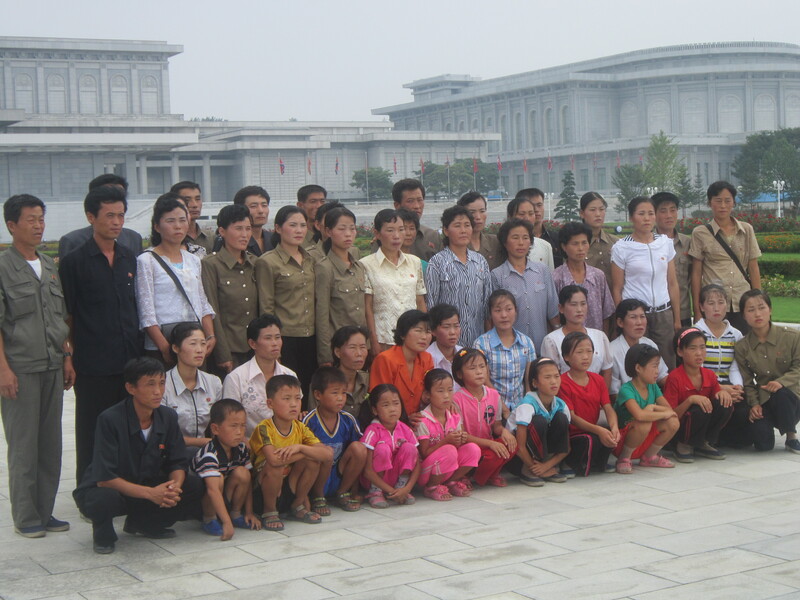 Another captivating feature of North Korea is the purity of their culture. One can see this, as we did, on our visit to a high school, where gifted students performed on a traditional stringed instrument called the gayageum; in a wide variety of beautiful handicrafts for sale in a few government gift shops; and in the lovely folk dresses worn by many women which, strange to say, I never once saw in South Korea. But the most powerful embodiment of national culture is the Arirang Mass Games, held throughout the summer every year (though inexplicably cancelled in 2015). It would take a small book to adequately describe this visual and audio extravaganza with a cast of over 100,000. It surely must be the most incredible human spectacle in the world, an intensely patriotic, even mystical expression of the Korean soul. At the end of the 90-minute performance in a huge indoor stadium, I along with everyone else in our group of nineteen was emotionally overwhelmed, speechless. Unless you have already visited North Korea, I can guarantee that you have never seen anything like it in your life. Lastly, a journey to North Korea is one of the last great “safe” adventures remaining in the world, by which I mean that for nearly all of us in the western world, Americans as well as Europeans, it is a strange and distant land that very few have seen – only five or six out of a million Americans have been there – yet also a land where the risks normally associated with exotic travel – risks like disease, accident and theft or worse – are negligible. 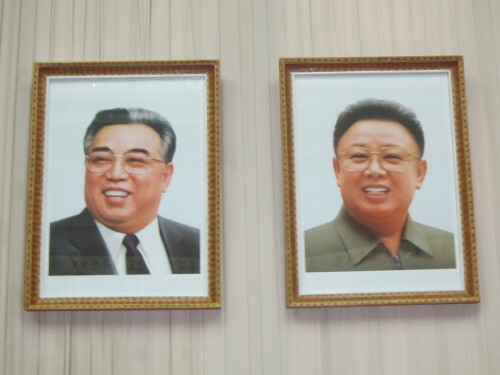 It’s a combination of everything I’ve written about here that make North Korea a magical travel destination and more than sufficiently answers the question “Why Go?” But in the final analysis, the reasons I’ve given will fall on many deaf ears. Not surprisingly, at least a dozen people to whom I mentioned my trip grimaced and said, “Why would you go to North Korea?” The only sensible answer, which I’ve never given to avoid offense, is “You wouldn’t understand.” It’s simply a fact of life that most human beings have no desire ever to stray too far from home. But some of us are born, so to speak, with explorer genes in our DNA. For us, life without travel to the world’s far-flung corners is unthinkable. A glow comes over us when we share our stories. We are driven, restless, unquenchably curious. Had we lived centuries ago, the boldest among us might have sailed the uncharted seas with Leif Eriksson, Columbus, Magellan or Cook, or walked the Silk Road with Marco Polo, or across Africa with Henry Stanley. Today, the perils of exploration have greatly shrunk, but we still crave the challenge. “Why would you go to North Korea?” you ask. It’s the call of the remote, the mysterious, the forbidden. It’s an inner force magnificently captured in the lyrics and melodies of Orinoco Flow by the Irish musician Enya. I don’t have to persuade anyone. If you share this feeling with me, let me take you to North Korea.